There’s a lot to love about the Auto Frosty Bud strain, including the spicy flavour and high that will you feeling happy and uplifted. 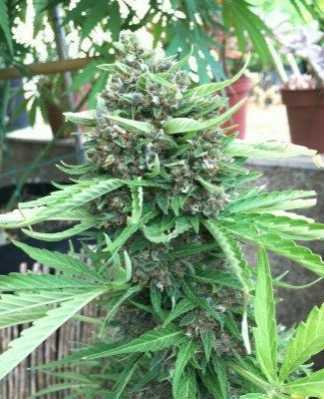 With large yields and buds loaded with resin, this strain is great for beginners. 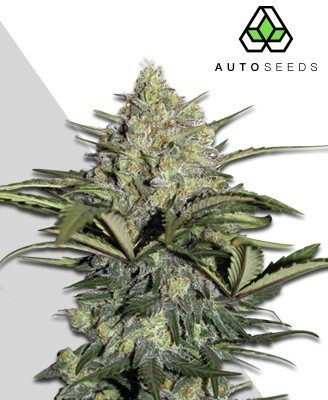 Auto Frosty Bud by Azarius is one of a new generation of marijuana strains, which is all about delivering value for space as well as for money. It’s a cross between two popular strains, Lowryder 2 and Santa María and the result could reasonably be described as “Santa Maria mini auto”, in other words it keeps pretty much everything which has made Santa Maria so popular and shrinks it down into a smaller package. Azarius has not released the THC level for this strain, but based on genetics and medical effect, we’d put it at around 10%. By today’s standards this is on the low side, but to be honest, we sometimes feel like there has been a bit of a race between breeders to create “super-high” THC strains just because they can. 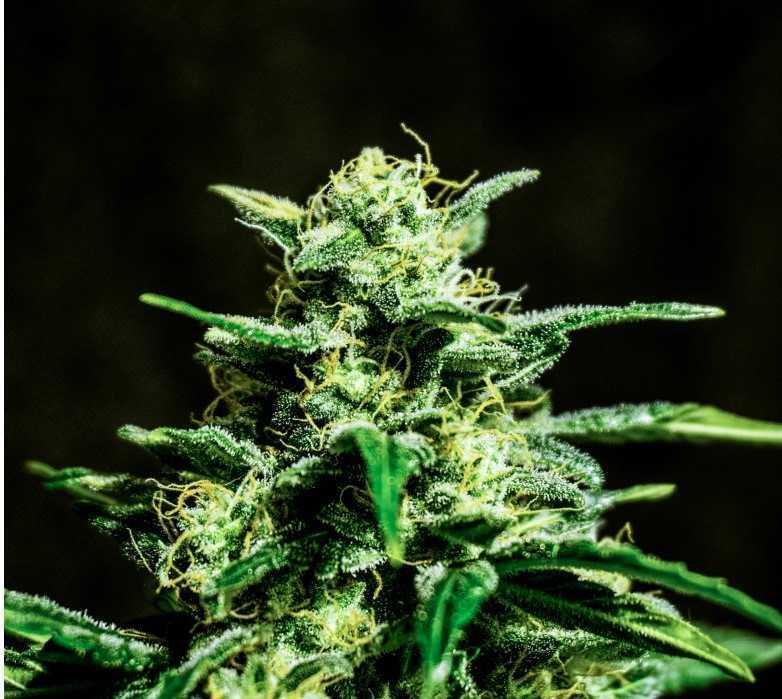 In reality, these “extra-strong” strains may be useful for breeding but they’re only likely to serve a medical purpose for a very small number of people, for most people, something in the region of 7% to 15% THC (depending on condition and preference) is perfectly appropriate. 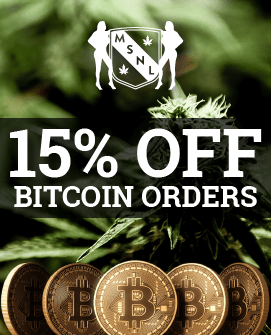 In short, the level of THC on offer here is absolutely fine for dealing with common conditions such as glaucoma, tension headaches, anxiety and fatigue. 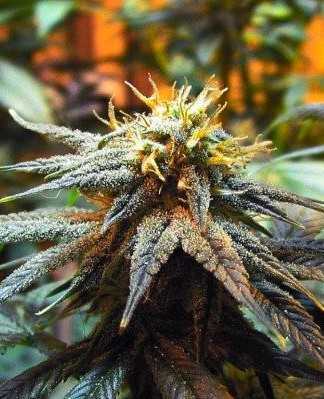 It’s also enough to make Auto Frosty Bud a decent “wake and bake” strain rather than one you would use for insomnia. It does have to be said that small plants mean small yields, if only because there is simply less physical space for buds to develop. 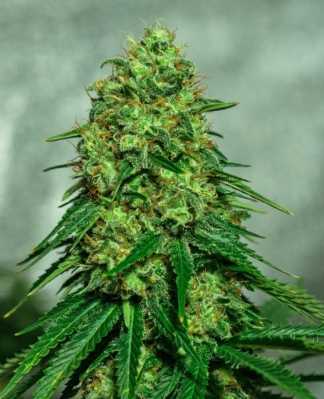 Auto Frosty Bud will deliver around 35g per plant, which is perfectly respectable for a strain this compact. 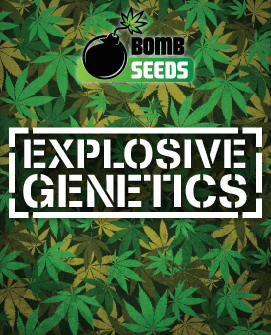 The basic idea behind strains like this is that people can grow their own prescription on a rotating basis, in other words, you would start your plants at regular intervals, depending on your needs so that as soon as you were on the point of finishing one batch of your prescription, another batch would be ready to harvest. 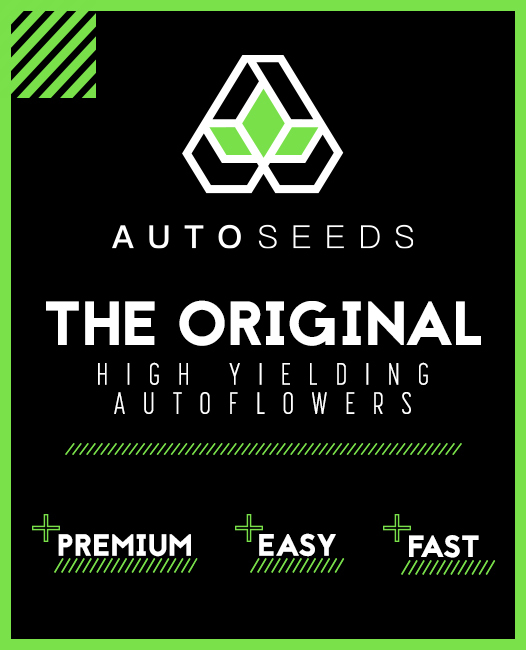 Autoflowering strains are perfect for this situation since you can keep all your plants on the same light cycle regardless of their stage of growth. 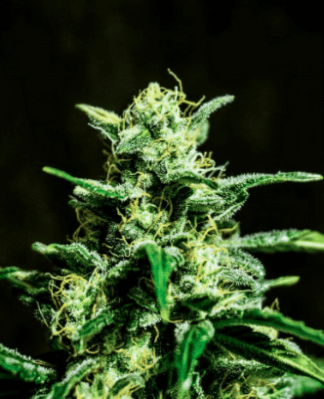 At nine to ten weeks, Auto Frosty Bud takes a bit longer than your average autoflowering strain, but its compact size means it’s generally fairly easy to find enough space for more than one plant. If you are going to grow Auto Frosty Bud outside, remember that it’s still going to need protection from the elements, so unless you live in a really mild climate you should probably look to start it by the beginning of August at the absolute latest to make sure you have a decent chance of claiming your harvest before autumn frosts do. 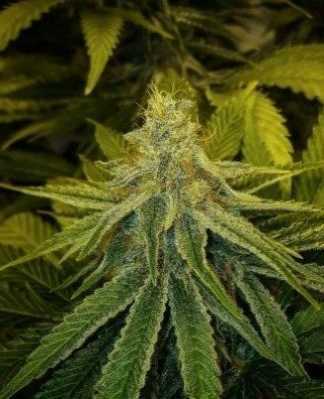 The taste of Auto Frosty Bud will certainly wake up your taste buds and the aroma is sure to set your nostrils twitching. This is very definitely a spicy strain, but think warm and interesting rather than “blow your mouth off fiery”. Basically, if you’re fine with mild curries and such like, you’ll be fine with Auto Frosty Bud. If you’re really not into spice at all, then obviously you’ll need to look elsewhere. 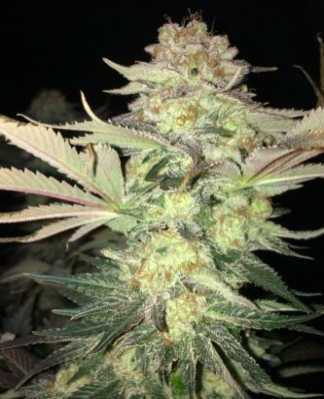 Auto Frosty Bud is never going to win any prizes for the world’s best looking weed strain, but it’s easy to handle in every sense of the phrase and the fact that it has a reasonably mild odour is always a plus when it comes to storage. 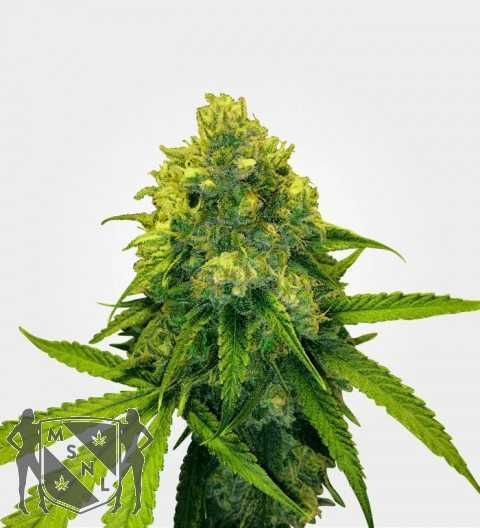 Overall, Auto Frosty Bud is a robust and unfussy strain, with the advantage of being feminized, thus removing the need to identify and remove male plants.